The American Standard Champion-4 Right Height toilet is an H2Option siphonic dual flush elongated toilet system. It also utilizes less water than regular toilets and is self-closing and flapper-free. It ranks among the top 20 Kitchen & Bath Fixtures, One-Piece Toilets, best-selling products. 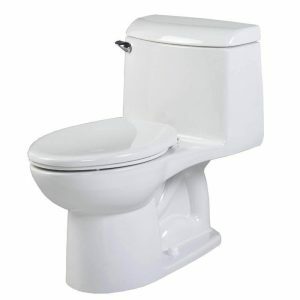 In this American Standard Champion 4 reviews, we can confidently say that this toilet far exceeds industry standards. The toilet is entirely factory flush tested, which operates at a very high level of performance. There’s no need to plunge as it helps eliminate clogs. 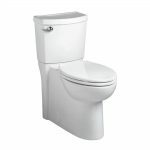 When preparing this American Standard Champion 4 reviews, we found that it highlights a one-piece fixture, fully glazed, white, porcelain, elongated toilet. The fixture weighs about 120 pounds and the seat is approximately 17 inches high. It comprises a 2-3/8 inch Siphon Trap-way and EverClean, a highly-approved, and internal and external permanent anti-microbial surface. The surface protects the bowl from scratching, and wards off mildew, mold, and bacteria. It’s available in white, linen, silver, black, and bone. The seat cover has a flap-free, self-closing valve system for a softer close after use. The seat meets the industry standards for Americans with Disabilities guidelines. The toilet delivers excellent flushing action after every use. It has a fast-acting valve and siphon trap-way that eliminates waste efficiently. The piston movement activates the valve to pump water into the bowl more than three times faster than regular flush valves. The valve also delivers less water at faster speeds than regular toilets. The high—performing flushing action conserves water while providing a cleaner flush after use. The EverClean shiny surface protects the bowl from mildew, mold and bacteria build-up. You spend less time and effort cleaning the bowl since it repels odors and protects the color. The powerful piston accelerator flushing action delivers fast, high-quality, efficient flushing. It promotes a higher flushing action while using less water. 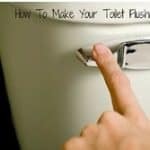 The flush valve propels water faster than most standard toilets and uses less than 2 gallons of water per flush (GPF). The average bowl can utilize as many as 5 gallons per flush. The extra-wide trap-way assists the valve in pushing more waste faster and more efficiently through the system. It produces a powerful, cleaner flush while saving water. If we have to write unbiased findings for the American Standard Champion-4 review then it is not wrong to be said that this toilet is so elongated with a highly effective flushing action that can easily be considered as one of the best flushing toilets. It boasts a 4-piston flush valve accelerator that delivers strong flushing and stops clogs in their tracks. There’s no need to use the plunger or call the plumber to clear unpleasant backups. The elongated siphon action jetted bowl forces water into the bowl faster and more powerfully than regular toilets. The toilet design comprises vitreous china, an enamel coating that’s added to the porcelain surface. The process helps create a stronger, industrial-strength toilet that can stand up to the rigors of everyday use. It weighs almost 120 pounds and comes with bolts and caps for a sturdy seal. The permanent EverClean surface technology helps protect the bowl from stains, odors, mildew, bacteria, and mold. 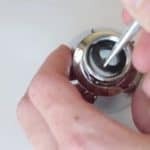 The permanent seal is on the inside as well as the outside, so the surface remains shiny and requires less cleaning time and effort. Always observe the rules for setting up the toilet as explained in the users’ manual. Use the right accessories and fittings for the toilet to ensure safety and stability. Clean in and around the bowl with mild, soapy water and dry the surface thoroughly with a cloth to avoid spots and stains. In-tank cleaners can cause irreparable damage to your bowl or may spring a leak. It saves water and maintenance costs. The design is attractive and trendy. User-friendly and easy to clean. Comfortable for persons with disabilities. The seat action is quiet. Flappers tend to wear down quickly. This toilet is heavy and more expensive. The chain on the handle of the flushing valve can be faulty. Toilet base, seat, and the tank may not be level. The valve closes too quickly to facilitate a proper flush. Seat and lid material are flimsy. The American Standard Champion-4 toilet is a one-piece, high-performing, thoroughly tested toilet. It surpasses many standardized tests for quality, design, efficiency, and compatibility. Also, it flushes faster, removes more waste, with more efficiency than many regular toilets, while conserving water. This toilet is a sturdy, attractive, economical choice that delivers consistent performance. The siphon trap-way has a broad opening that collects more waste than other toilets, depending on the brad you use. 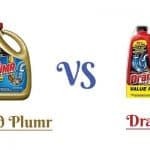 Independent tests show the toilet tops the list for high-performing flushing action among similar brands. I recommend this toilet for its high-quality design, strong flushing action and overall durability.